Technology has enabled companies to go from on-premise solutions to on-demand. The driver here is the cloud and SaaS, but what is SaaS and should your business consider moving to the cloud? Cloud adoption is high amongst SMBs, but it’s enterprise companies that are now leading adoption. Here, we share research on usage, trends and SaaS examples. SaaS offers numerous benefits and companies that have moved to the cloud are experiencing high growth. If you’re not convinced, we provide you with 7 reasons why SaaS can drive business growth. At the time, it sounded ludicrous. Yet here we are, more than fifty years later building start-ups and unicorns (companies with a market value of above $1 billion) based on a shared resource of computing power. While the idea has been around for half a century, the web-based technology required to support SaaS started to mature only in the early 2000s. Today, SaaS is a cost-effective alternative to the traditional IT deployment where you have to buy or build your own IT infrastructures, install the software yourself, configure the applications and employ an IT department to maintain it all. Although SaaS applications have been around for a while, businesses still have a lot of questions on whether these apps are a viable option for them. 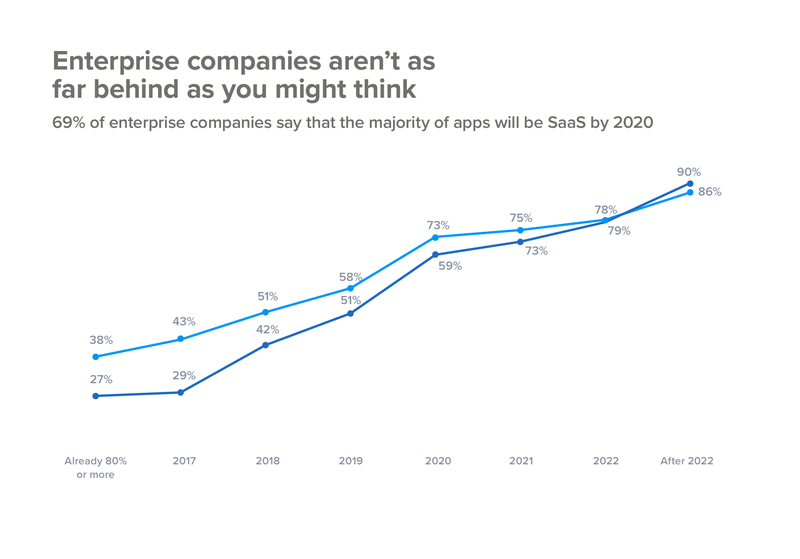 Are you considering moving your business apps to SaaS? 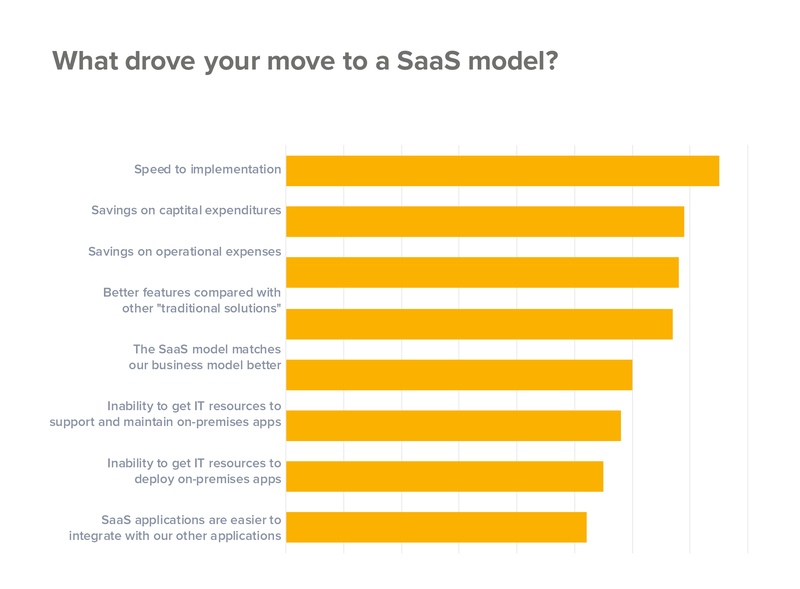 Are you wondering what the business advantages are for a SaaS model? 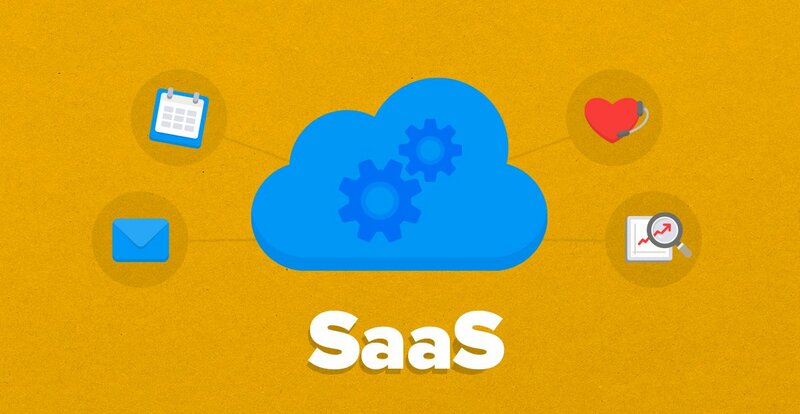 Heck, is SaaS just another business acronym that means nothing to you? If you’re nodding your head to any of the above, then read on as we explain what SaaS is, why businesses are moving to the cloud and how your business can benefit from SaaS. 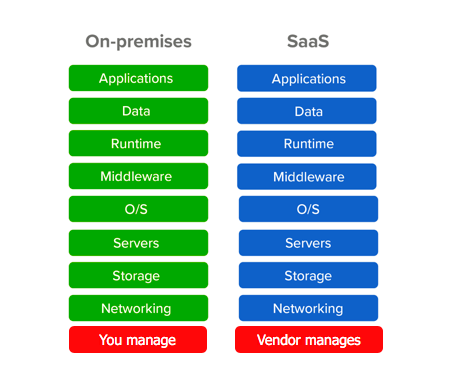 SaaS or Software as a Service, also known as the ASP (application service provider) services, software on demand, or – simply – service in the Cloud, offers a connection and subscription to IT services built on a shared infrastructure via the cloud and deployed over the Internet, rather than purchased and downloaded or installed locally. In other words, the software that you want to use is delivered and managed remotely, which you can access via your preferred web browser (and mobile device). That’s what a report by Vanson Bourne found when they interviewed 460 senior decision makers on the impact of moving their business to the cloud. A decade ago, very few businesses were thinking of cloud technologies. In fact, in 2008 – only 12% of businesses were using cloud-based apps. Today, it’s a different story and no longer a question of “if”, but “when”. For example, a recent CIO tech poll by IDG found that the biggest increase in IT spending in 2019 goes towards cloud computing strategies. 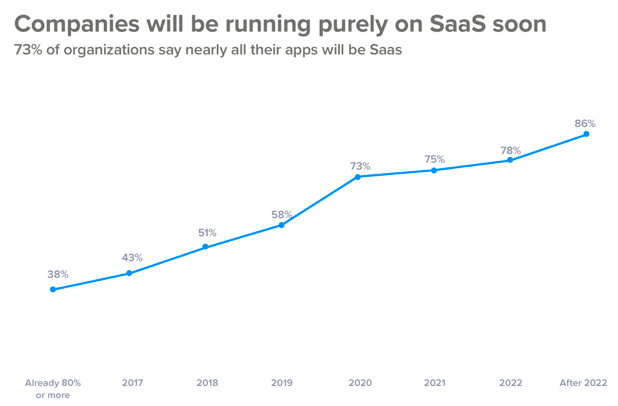 It’s for this reason that the number of companies moving their business to the cloud is growing fast with 73% of organizations looking to move almost all of their apps to SaaS by 2020. SaaS is literally taking over the cloud computing market. So, it is no surprise to find that the global public cloud service market is projected to grow to more than $200 billion in 2019, up from $175.8 billion in 2018, according to Gartner. Companies use an average of 16 SaaS apps to run their business every day, and if you’ve used SaaS – whether personally or professionally – you will see that SaaS is suitable for anyone. Do you subscribe to Dropbox to store your photographs online? That’s a great example of SaaS. Another example could be for work. If you’re a marketer and use an email marketing platform to send emails to your customers, then you most likely use a subscription-based model (SaaS). For medium-size organizations in particular, SaaS is primarily a hassle-free and cost-effective alternative that offers new possibilities, flexible costs, as well as easy maintenance and deployment. You don’t need to own a super powerful computer, an in-house server or to employ an IT genius to be able to store your business information in the Cloud. SaaS allows multiple users to get access to the vast database at anytime and anywhere there is the internet. All you need is a web browser and an internet-powered device and you’re up and running. When it comes to CRM software, the introduction of the SaaS model can only be compared to a revolution. It changed the deployment of CRM from a “procurement and ownership” model to a “subscription and outsourced services” model. 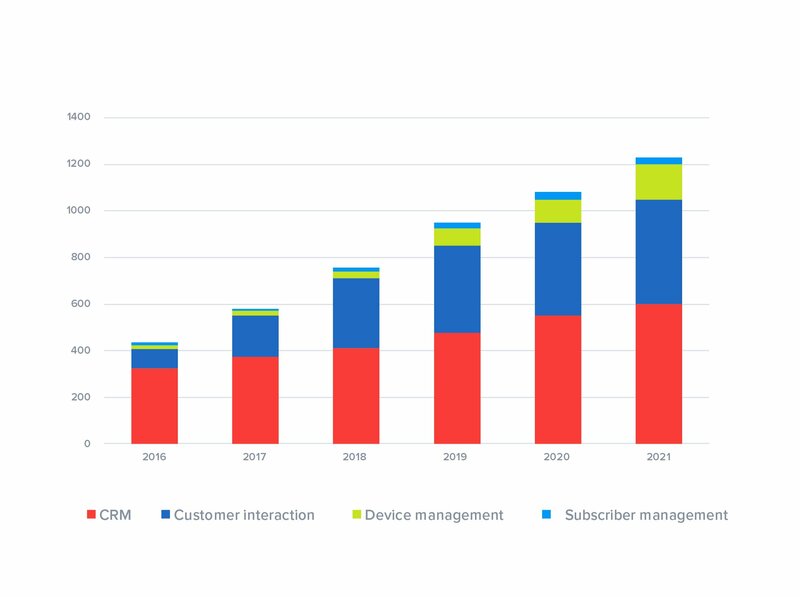 And it’s CRM that will continue to drive the adoption of the SaaS delivery model, according to estimates from Analysys Mason. The reason for the growth is due to the numerous advantages SaaS CRM applications provide to businesses. And the assumption that it’s only small companies who adopt the cloud becoming nothing but a myth. Of course, it wasn’t always this way. In the beginning, the enterprise software world laughed at the idea of moving their business apps to the cloud. But that’s now changing as enterprise companies have proven that they’re able to grow revenue by moving their business to the cloud. In fact, enterprise companies are expected to overtake SMB’s in SaaS adoption by 2022. So, whether if you’re a small business, a midsize company or an enterprise, let’s take a look at how your business can benefit by opting for the SaaS CRM model. SaaS operates on a pay-as-you-go model with no large upfront fees. You just pay a monthly or annual subscription fee to use CRM as a service. This is one of the reasons why SaaS is usually favored by midsize companies who are careful about how they invest their budgets into new systems – even if it’s considered business critical. Think of the initial investment required when you own all of the below, compared to SaaS – which is managed by the vendor. 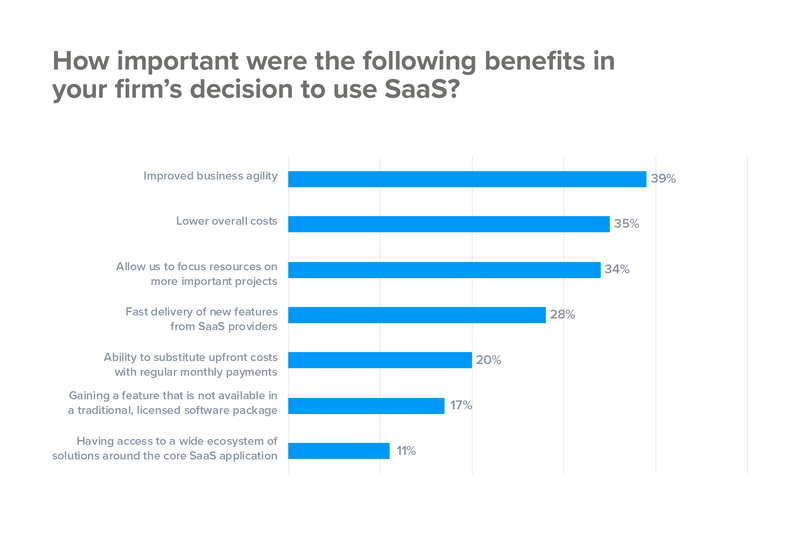 So, rather than a huge upfront expense with an on-premise solution, SaaS can be treated as an operating expenditure (which most of CFOs prefer). This is one of the most attractive advantages – SaaS CRM can be a real money-saver! In fact, in terms of importance, “lower overall costs” is the second biggest driver of SaaS adoption. 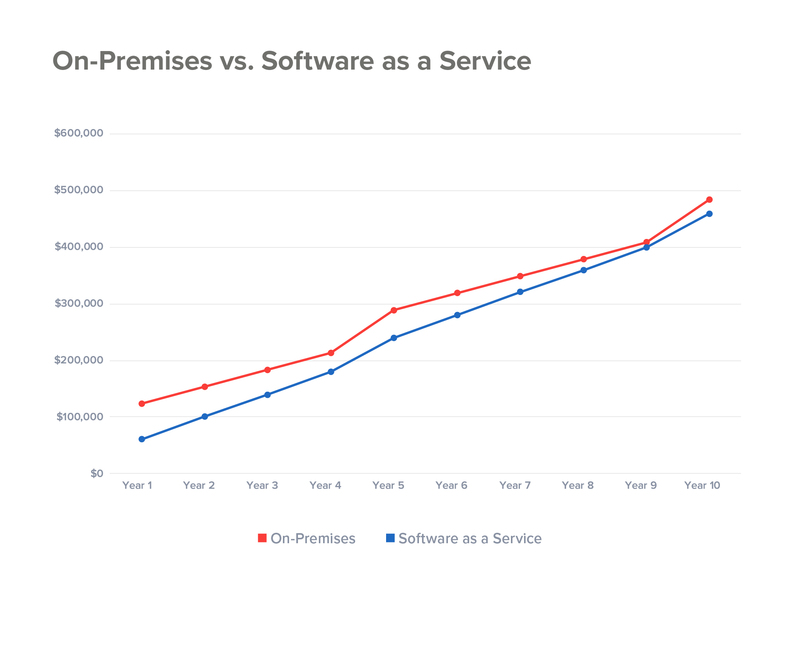 When you compare the cost of a SaaS CRM solution against the cost of buying the software, at first it may look as if the SaaS option is still expensive. However, when you take into account the sums you need to spend on buying the necessary hardware, as well as hiring and managing people to maintain it all, it often turns out that the SaaS approach actually is a lower cost option after all. In other words – using SaaS means you can forget about spending money on extra hardware or people maintaining the system. The SaaS model allows you to access your CRM database from anywhere, on any device and at any time. With a 99% uptime, all you need is an internet connection and a web browser. Hosted in the cloud and accessible over the Internet, the SaaS CRM is particularly great for sales people who spend most of their time in the field. A hassle-free IT life is definitely the top selling point of the SaaS CRM. The subscription-based pricing method entails virtually no system maintenance fees, such as back-up, updates and security. There is no need for a user to buy, install or update any hardware or have a local server installed, which are certainly costly and require maintenance. This, in turn, means that you don’t need to employ a dedicated IT staff. By moving to the cloud, you will see a 15% reduction in IT spending and a 16.7% reduction in IT maintenance costs. SaaS CRM solutions are hosted by a SaaS provider, so all upgrades, installations, maintenance, and new users are connected to the system without any effort on the customer’s side. More so, it is the SaaS vendor’s responsibility to deliver on their promises and ensure that the IT hardware operates the way it should. A few years ago there was one fear in adopting a new software app: that it would clash with the ways you work every day, especially the programs you were used to. As technology has evolved, users of SaaS CRM apps can integrate with the already available software on the market and expand their CRM solution just as an onsite customer would. This means that customers can carry on using the software they are used to, such as ERP systems or email clients (like Gmail or Outlook), as they can usually be easily integrated with the SaaS solution. 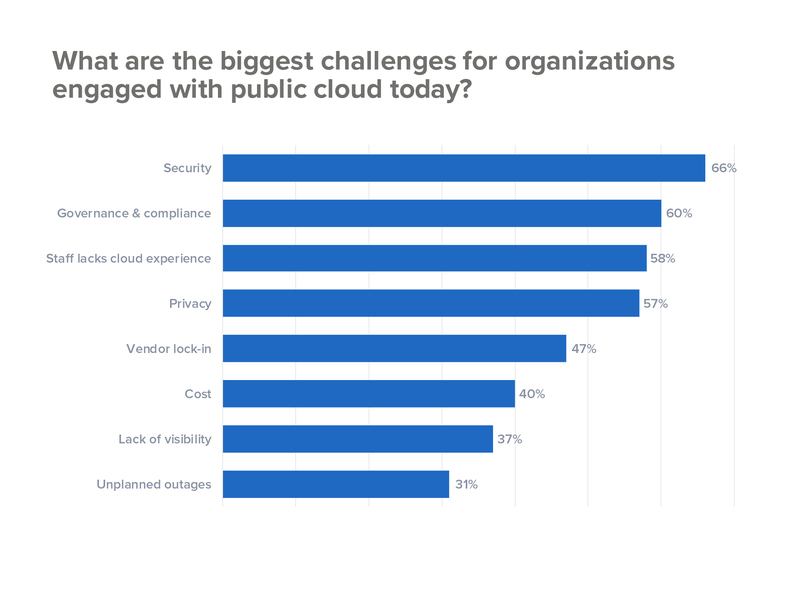 According to a study by LogicMonitor, 66% of IT professionals say security is their greatest concern in adopting an enterprise cloud computing strategy. Since the SaaS vendor is responsible for the maintenance of data that a customer entrusts them with, the security issue becomes highly serious and customer data becomes super protected. The SaaS vendor’s livelihood depends on data security, so it is only natural that safeguarding the app is paramount. That is why SaaS providers have their servers scattered in multiple geographical locations and have automatic backups, ensuring a higher level of security than your own enterprise itself would be able to provide. Finally, the SaaS CRM model can be quickly scaled up, meaning that if your organization decided to increase the number of CRM users it can be done within a day. No need for lengthy requests, testing, changing of the IT architecture, installing additional software, and waiting. Just change the subscription and voilà – more users will get access to your SaaS solution. And if you need more storage space or additional service – the process is the same: quick and almost immediately deployable. It’s exactly this reason – speed – as to what drives companies to move to the SaaS model. Companies that have already moved the cloud are already experiencing how to scale quickly. In fact, 20% of companies have seen an average improvement in time to market – leaving their competitors using on-premise solutions in the dust. On the other end of the “scale”, scaling down might require a longer process as SaaS providers offer a single version of the product to support their customers, so moving away has the opposite effect. The benefits of SaaS are many. Businesses around the globe are moving to the cloud where they can easily rent services and enjoy a worry-free life. easy customization as SaaS offers a flexible and scalable IT solution that is compatible with a range of other business tools. So, if you are in the market for CRM software and looking for a SaaS application, then sign up to a personalized demo below and we’ll show you how SuperOffice CRM can help grow your business. Nice article! I didn't realize how fast SaaS companies are growing. Interesting research and makes for a great business case. Really interesting post, thank you! If you're a modern company, then going SaaS is no longer a nice to have - just to stay competitive. Thanks for a great article! I didn't realize moving to SaaS had so many benefits. Will have to have a chat with our CIO about moving to the cloud!